Which Applicant Tracking System (ATS) Should We Use? When Sally met Harry – No wait, That’s IBM and Kenexa. Today IBM announced the acquisition of Kenexa for $1.3 Kenexa is a consulting, content, […]. The post Why IBM Acquired Kenexa appeared first on Bersin by Deloitte. Ever play a game of musical chairs? Well in the HR and talent management market, the number of chairs is starting to get smaller, so everyone is grabbing for a seat. billion (42% premium to the company's closing price last week). (Read Josh Bersin's post on the Kenexa-IBM Deal Here.) The post When Sally met Harry – No wait, That’s IBM and Kenexa. Should I worry? That's what our members often ask after their software vendor gets acquired by a larger company. The good news is probably not. Vendors are fond of customers and want to keep them, whether or not they keep them on the original products for […]. appeared first on Bersin by Deloitte. Sourcing and Recruiting ddi hogan kenexa recruiting science of fit shl sourcingLooking for a job is like playing the dating game: you’re like a lover looking for the best mate, and the employer is playing the same game in reverse. ( The Dating Game, a TV show in the. Bersin & Associates, Leading Research and Advisory Services in Enterprise Learning and Talent Management. 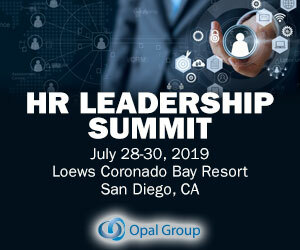 HR Systems LMS, LCMS bigdata Halogen Software kenexa linkedin Oracle outstart peoplefluent Saba SAP Silkroad strategia successfactors taleo workdayThe talent management systems market has been under quite a bit of stress lately. In the last 90 days we have seen SAP’s acquisition of SuccessFactors, followed by Oracle’s acquisition. Bersin & Associates, Leading Research and Advisory Services in Enterprise Learning and Talent Management. 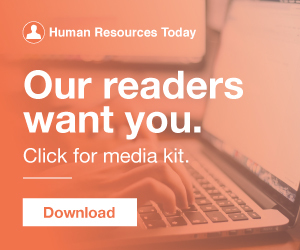 HR Systems ADP authoria customer satisfaction enwisen kenexa lawson Learn.com Oracle PeopleClick salary.com SAP StepStone successfactors SumTotal talent management systems taleo WorkscapeThis winter we launched our second annual Talent Management Systems Customer Satisfaction research. Now, after surveying more than 1,500 organizations over the last two years, we have a very deep. Bersin & Associates, Leading Research and Advisory Services in Enterprise Learning and Talent Management. You still have one week left to register for our upcoming webinar with IBM Kenexa on best practices for creating positive candidate experiences while also supporting your FCRA compliance program. Kenexa). Money Matters. Annual net income for the top 25% organizations on engagement is about 2 times more than for the bottom 25% organizations on engagement. Employee engagement make an income difference so lets stop with the engagement talk and get busy engaging. As CHRO and then president of IBM’s Kenexa division, I learned about the power of analytics in making HR decisions based on measurable business outcomes. I am pleased to announce that TharpeRobbins is now Engage2Excel. More than just a name change, this is an exciting step forward in a century-long tradition of innovation in helping companies engage and recognize exceptional employees. IBM Kenexa Learning and Content Management solutions. Written by: Ray Eaton. We all have heard the statement, “garbage in – garbage out.” This is especially important when working with data and analytics, and extracting data as databases have become much easier to use. Qualtrics , an enterprise-technology platform, has partnered with IBM to transition clients who currently use IBM Kenexa Employee Voice, Survey Advantage and Survey Enterprise solutions to the Qualtrics Experience Management platform. Co-Founder and CEO Manish Goel of TrustSphere is also a former IBM partner who worked with the Smarter Workforce group, which uses the assets acquired from Kenexa. LinkedIn's revenues in the corporate recruiting market are now larger than Taleo, SuccessFactors, Kenexa, and nearly every other software company which sells recruiting solutions. Another amazing quarter from LinkedIn: revenues of $188.5 Million, up 101%, with the "hiring solutions" business now driving $102.6 Million or 54% of company revenue. IBM Kenexa. 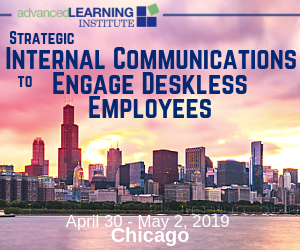 Employee engagement drives individual performance in an organization, but do companies with more engaged employees out-perform those with a less-engaged workforce? Can the company show a stronger financial performance and operational efficiency with engaged employees? 5 Great Overlays for Kenexa-Brassring ATS Job Pages. All candidates are influenced by the core design concept of “contrast” That’s why before-and-afters are so effective in advertising! Examples of specific ATS job page overlays: 5 Examples of Effective “Overlays” for Taleo Job Pages , 5 Great “Overlays” For Kenexa-Brassring ATS Job Pages. Job ads are becoming more creative and dynamic. 999 to 250 (Large) – Taleo, IBM Kenexa, and iCims. 249 to 100 (Mid to Large) – Taleo, iCims, and Kenexa are the top three, but #4 you begin to see Jobvite. I’ve said this a number of times, but it’s the question that never goes away. Companies include: Taleo, Jobvite, Workday, Greenhouse, Ultimate Software, Lever, SilkRoad, SAP SuccessFactors, SmartRecruiters, ADP, Bullhorn, iCIMS, Workable, Kenexa, and JazzHR. The company announced last week that its Kenexa Talent Suite now includes a Watson-powered data discovery application. The HCM technology market is hot.